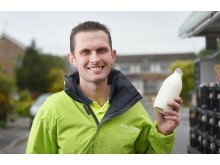 Chosen from nearly 1,200 milkmen and women across the country, Camberley milkman Darren Barnes has been crowned milk&more Milkman of the Year 2017. 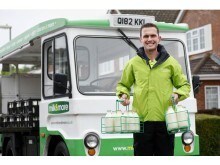 The milk&more Milkman of the Year 2017 competition shines a light on the great work milkmen do in their communities. 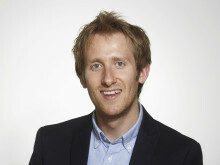 Darren was nominated by his customers for the exceptional service he provides. 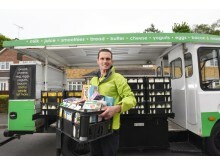 Darren, a milkman for 31 years with Britain’s largest milk delivery service to the doorstep, milk&more, has gone above and beyond to help his customers and local community throughout his career. In addition, Darren recently raised over £5k for children’s charity Whizz-Kidz, having completed his first marathon at the age of 50. 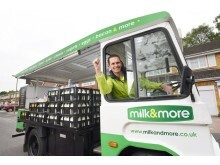 Commenting on his win, Darren began by thanking his customers: “I am over the moon at being crowned milk&more Milkman of the Year 2017 and want to say a big thank you to my customers, many of whom I have been delivering to for years. 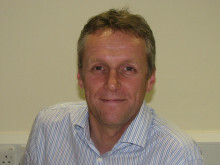 Over the last three decades, I have always aimed to provide a reliable but friendly service for my customers, many of whom have such busy lives; so to be recognised by them for a job I love is amazing. 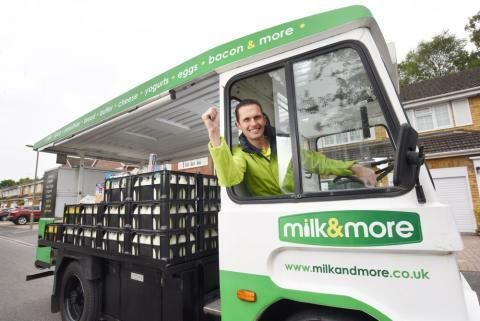 Patrick Mueller, Managing Director of milk&more said: “milk&more is for the community, from the community and part of the community and Darren is a fantastic example of why we believe that every neighbourhood deserves a milkman. Our milkmen and women are an integral part of their local communities and Darren epitomises all that is great about this British tradition – which we are working hard to ensure will be here for generations to come. Darren’s concern for his local community and keen observational skills have also resulted in him raising the alarm in times of trouble. Most recently, Darren was prompted to check on a customer after she left her door open for an extended period, resulting in him calling the paramedics. Milkmen and women started delivering daily essentials to homes over 150 years ago, in essence making them the original home delivery service. Whilst the level of service hasn’t changed, the offering has evolved and continues to do so, to meet the needs of the customer of the 21st Century. As well as delivering the iconic glass milk bottles, milk&more also offers over 200 other daily essentials, from bacon to eggs, and from coffee to gardening products. 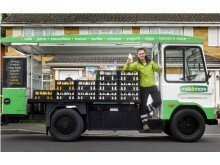 Regularly adding new products to the range and allowing customers to update their order online up to 9pm for next day delivery, the milk&more service also shows how milk delivery is being refreshed for a new generation.